British marine experts are asking all Brits located on the west coast of the UK and Ireland to let them know about any sightings of basking sharks that they see in the waters just off the coast this summer. 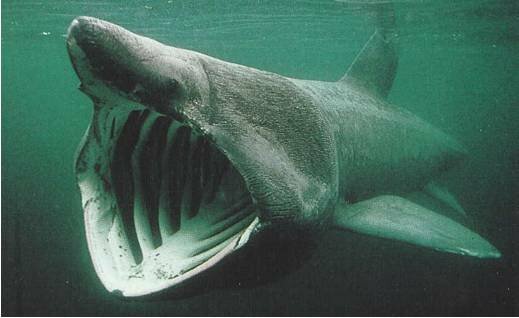 Basking sharks are drawn to temperate waters and the plankton rich waters just off the coast of the UK are no exception. Although the sharks may look scary they are in fact harmless and are protected under UK and European laws so those who do see them are reminded not to go near them, disturb them or touch them. Surpassed only by the whale shark, basking sharks are the second largest living fish in the world. They are found in temperate waters worldwide and may appear both alone or in small shoals. 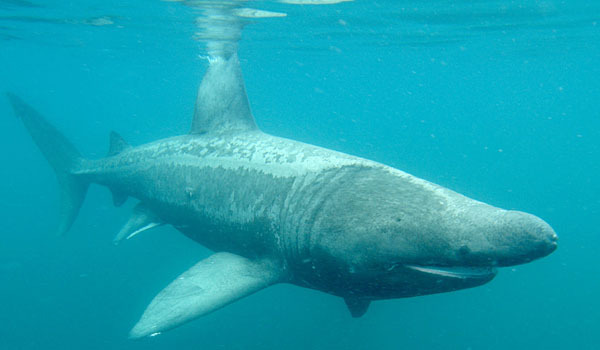 Like whale sharks, basking sharks are harmless and are exciting to watch by both scuba divers and snorkelers however due to overfishing, many basking shark shoals have been eliminated altogether and others are so endangered that they are under protection – hence why they are protected under UK and European laws. Managing director of the National Marine Aquarium in Portsmouth, David Gibson is asking anyone in the UK who sees a basking shark to report it to the aquarium. The sharks should be in UK waters for much of the summer and can grow to around seven metres long when fully grown. If possible the aquarium is also asking people to take photographs of the sharks so that they can try to identify whether they return to UK waters again. The photographs can also be used to help identify any health problems or injuries that are apparent on the sharks which may indicate whether they have come into contact with fishing fleets. Researchers believe that the basking sharks will be in the waters on the west coast of England as well as Ireland. Hotspots include the south west of England, Firth of Clyde in Scotland, the Isle of Man and the south and west coasts of Ireland. The warm waters here are perfect for zooplankton and tiny marine animals and this is what is thought to attract the sharks. Although it is difficult to predict when the basking sharks will arrive researchers believe that it will be during the main summer months of June to September. 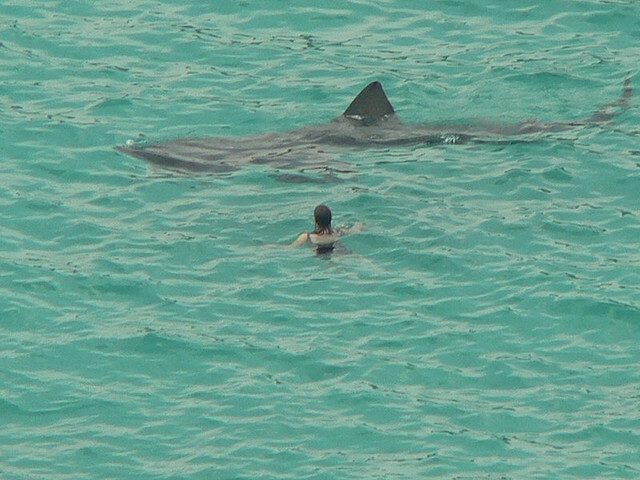 Keeping a distance of at least four metres between you and the shark so as not to scare it. Don’t invite others over to have a look. If you have a camera with you take photos of the shark in particular the dorsal fin and any other features which could distinguish the shark from others. If you are in a boat ask the captain to turn off the engine as this is one of the main causes of injury to basking sharks. Swim away from the shark quietly and gently and report your findings including any photographs to the Shark Trust. Although basking sharks are not aggressive creatures they can weigh up to four tonnes so they are large enough to cause serious injury even if it is not on purpose. By understanding more about basking sharks, the Shark Trust and the National Marine Aquarium in Plymouth can help to protect them when they are in UK waters. With climate change occurring throughout the world, it is no surprise that the UK waters have become a hotspot for these magnificent creatures. This entry was posted in Europe, Scuba Diving, Travel, Water Sports and tagged Basking Sharks, Ireland, UK. Bookmark the permalink.